Bottoms Up - Personalised Birthday Card. What ho chaps, jolly good fun on your birthday! Happy Birthday from a cat in a birthday hat! Perfect for a small child. Free delivery on 2 or more cards. Dancing Girl | Birthday Card A romantic sweet design of a girl, perfect for saying Happy Birthday. Crack open a cold one with this fun retro card. 30th Stripe | Birthday Card Say Happy Birthday to them with this cut-out effect personalised card from Black Olive. 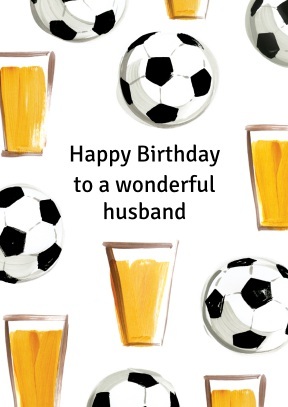 football and beer | personalised relation birthday card - Beer and football a perfect combination or a perfect way to celebrate a birthday. One of our grea personalised birthday cards. 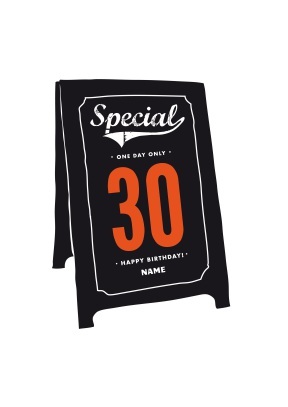 Special 30th Sign | Thirtieth Birthday Card Special, one day only! Is their age big news! 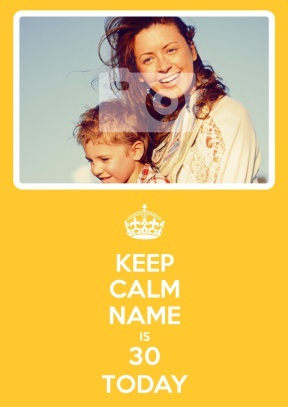 For one day only let them know by personalising this card with their name and age.